The Israel Patent Office has an official page on Facebook. I had a little visit or (is it called surfing?). There is a cute list of IP conventions and pictures of the relevant cities: Budapest, Rome, Madrid, etc. I appreciate the irreverence and this is the sort of thing that I do on my blog. However, it seems a little odd watching the official Patent Office doing it though. The former head of the USPTO had a blog and the UK have one called IP Facto (the name seems a rip-off of this one). The Facebook page has a five-star rating from the half-dozen people (none of whom I’ve heard of) who rated it. Those that liked the Israel Patent Office page (221 so far and counting) also liked the Administrator General and Official Receiver page. I am one of those Luddites that keeps forgetting his passwords for linked-in and Facebook so I don’t expect that I will be very active monitoring this node on the social network. I was in Rome last week with the family. (We stayed in an appartment on the Piazza a fungi. We went on to Naples which was a bit of an anti-pasti, and is covered with graffiti). Now apparently Rome wasn’t built in a day, and there are lots of half-finished structures, one of which, the coliseum, was apparently built with funds from the sacking of Judea. Knocking down a Temple to God and using the spoils to build a sports stadium for killing gladiators and rare animals seems a strange set of priorities. Back then, the crowds could have gladiators dispatched by thumbs up or thumbs down. 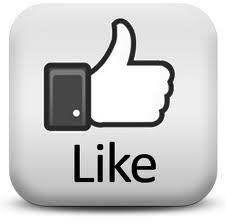 Now you can join the excitement and like or dislike the Official Patent Office website. What fun!